Samantha offers the joys and rewards of women’s retreats in Northwest Florida. With her supportive motivation and compassion, she encourages women of all ages to invest in their passions, personal development, and well-being. Her retreats inspire women to live their lives authentically and connect with like-minded women. Having lived and traveled all over the world, Samantha’s diverse lifestyle brings excitement and inspiration to her coaching practice. She leads special topic retreats including “Living an Intentional Year”, “Body Image”, and a “Woman’s Harvest Fall Retreat.” Samantha’s objective is to empower, challenge, and motivate women to live healthy, joyous and authentic lives. 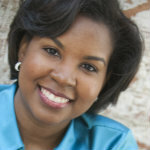 Angela is a Licensed Psychotherapist, Certified Life Coach, and Retreat Leader. For as long as she can remember, she has been a proponent of work/life balance. Living in the Washington Metropolitan area, Angela witnesses on a regular basis how “workaholics” have such busy schedules that they have little to no time for rest and relaxation. For that reason, she created “Unplug with Angela” where she encourages wo(men) to give themselves permission to slow down from the busyness of life for quiet reflection and to focus on what life is telling them. Angela brings her love for travel by offering retreats in exotic international locations in addition to locations within/nearby Washington, DC. From religious leaders to executives, she leads confidential, intimate retreats including topics such as self-care personal growth, heart healing, relationships and self-awareness. Her retreats are customized ranging from half day to multi-day; 1:1, couples and groups. Bart Erbach, CPC, is a professional and personal coach with 25 years experience as a CEO and consultant. 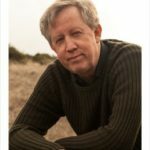 Bart is a musician, poet, and has served in leadership roles on the boards of non-profit corporations in a wide range of sectors including education, health care, and the arts. Bart’s third collection of poems, FIND YOUR WAY HOME, revives the lost art of reflection, bringing us to that quieter place where we see what matters most. He offers retreats in places of beauty for those who want to ponder the unfolding path of their lives. Ilysse Rimalovski, The CaregiveHer Coach, is a Life Coach and Master Retreat Leader dedicated to helping women feel heard, supported and celebrated. In 2018, she transitioned her ThriveWell Coaching practice into CaregiveHer to focus exclusively on improving the quality of female interpersonal relationships, making it easier for women to communicate their needs especially when confronted with life-changing circumstances. 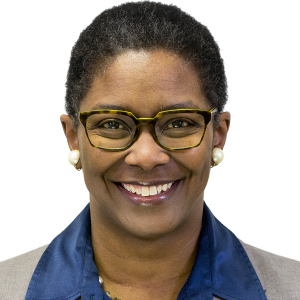 Ilysse graduated from Coach University in 1994 and is recognized by the Retreat Coaches Network, the Life Blueprint Institute, and the International Coaching Federation. She graduated from Johns Hopkins University with a degree in Writing Seminars and studied design and interaction at NYU, San Francisco State, Parsons and the School of Visual Arts. She is an empty-nesting mother of two college-aged daughters, wife, dog owner, and lover of seas, spas and adventure travel. Her ideal clients seek to lovingly reconnect with themselves, with others, and with nature. As a Certified Retreat Leader, Andrea creates relaxing and rejuvenating retreats with a spiritual focus. Sanctuary Retreats create a space for women to step off the treadmill of their lives and focus on themselves. 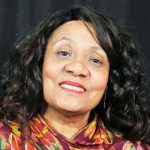 Her desire is for women to leave with a deeper connection to God and renewed inspiration for the work they have been called to. With more than 20 years’ experience in Human Resources, Andrea also works with individual clients on leadership, life and career coaching. Growing up in the military Carri Morones is no stranger to change and transition. Carri is passionate about working with women who are experiencing this in their lives and those ready to rediscover themselves, their passion and purpose in life. She knows that it is essential to take the time to recharge yourself and enjoys creating a nurturing, safe place and a sense of serenity and quietness that promotes this process. 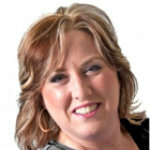 Carri is a Certified Dream Coach®, trained Purpose Coach, Reiki Master, inspiring speaker and a messenger of hope. She understands that where there is hope there is strength and with that comes courage, self-confidence and the power to take control of your life. Amy Walton has a passion for encouraging women to be the best versions of themselves they can be. Whether you are seeking a mini-retreat, a virtual retreat, or a customized personal or group retreat, you can count on Amy to create something special. She offers individual and group coaching in person or via Skype, FaceTime, or phone. Amy has enjoyed careers in elementary and college teaching, the newspaper industry, public speaking, and nonprofit arts fundraising and development. As a widow who raised two young boys into outstanding adults, she identifies strongly with single mothers, both those who fulfill that honorable calling full time and those who work outside the home. Anna Andrena is a Retreat Coach who helps (wo)men positively acknowledge and believe in their innate, God-given desire for success, in whatever area of life they may be struggling. Her clients come from many cultures and walks of life. Anna brings her deep sense of resiliency to her work with clients as they navigate personal and professional obstacles. She is passionate about seeing wo(men) advance into renewed mindsets and begin to manifest abundance in their lives. 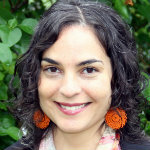 Anna grew up in the twin-island state of Trinidad and Tobago. Her background in theater guides her work with clients. 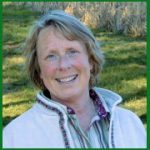 Anna has been leading workshops for over thirty years and now offers retreats, workshops and pastoral work in both New York and Georgia. 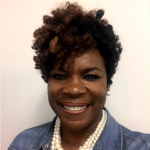 Hi, I’m Damali Curry Edwards, and I consider my primary work to help individuals and organizations transform their pain into joy while achieving work-life balance. I wholeheartedly believe in the infinite possibilities of individual potential. I employ a whole-person approach and truly enjoy serving as a coach and partner in helping my clients uncover their inner strength and transform their lives professionally, relationally, and spiritually. I am fortunate that in all the work I do, I am living my calling. My coaching and retreat website is coming soon! 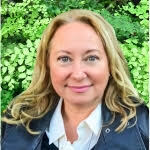 Karin Marcus enjoys working with women in transition who are seeking growth, fulfillment, and empowerment. Her personal coaching style combines her love of the outdoors and respect for the human spirit. Karin’s goal is to help every woman become an environmentalist of her own heart. During her one day, weekend, and week-long retreats, Karin creates a sacred space for women to commune with nature along with creating a circle of sisterhood that invites heartfelt sharing and deep centered listening — a wonderful balance of reflection, fun, adventure, and laughter! 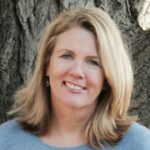 Karin is a Master Certified Retreat Coach, a Professional Certified Coach, Season of Change/Purpose Clarity Master Trainer and a member of the faculty at The Institute for Life Coach Training. 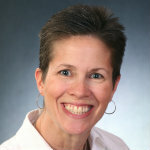 Kathleen Moore is a Licensed Clinical Social Worker and Health Coach at Duke University Health Coach Program. She has specialized in issues of Resilience and Transition and now brings retreats to the busy, weary woman of today’s world. 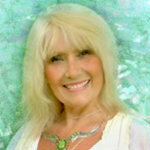 Her receptive focus is on opening into the sacred awakening and offering practical tips in an open, lighthearted way. For women in transition and/or those in need of a way to step into the magic of remembering who they really are, Kathleen’s retreats are a soothing balm. Her offerings for corporations focus on bringing diverse groups and ideas together in a non-threatening, professional and joyful way. 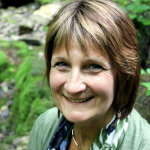 Kathy Garrett is a Certified Retreat Leader and PhD. in Adult and Organizational Development. She knows the challenges of a fast-paced life and the value of the retreat process to nurture a woman’s deepest needs and directions. Kathy is a city dweller who loves cultivating an urban garden oasis. 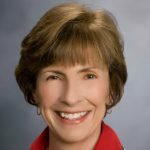 Kathy also leads workshop and coaches individuals and teams in organization settings with her company The Propel Consulting Group. She’s a university graduate school professor in Leadership and Organization Development at St. Joseph’s University in Philadelphia. Kelly Charlton offers creative retreats for women in the foothills of the scenic Adirondacks Mountains in northern NY. Her retreats are filled with discovery, creativity, art-making and healing. Her passion is to support others to find their joy – one loving shift at a time.Kelly blends her passion for family with her work leading retreats and is a student of mind, body and spirit work. She lives with her husband, two great kids and most recently her grandmother too! Kelli Slade is a wife, a mother, an attorney, a yoga teacher and a coach in the making. She combines her corporate background with her passion for supporting individuals to live rich and expressive lives. She has sought alignment and authenticity for most of my life and now uses energetic foods and the ancient systems of yoga and meditation to live fully and with intention. 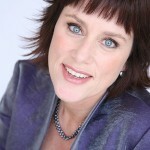 Kelli offers life and corporate coaching to a wide variety of clients. 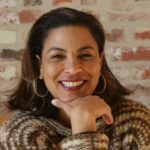 She specializes in developing programs to meet individual client needs that include helping them integrate sustainable and worthwhile self-care practices into their daily lives. Lee Miller is a freedom expert. Her vision for women is think free, live free, be free in life. 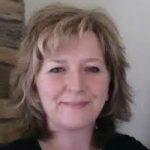 Her freedom journey has taken her from stay-at-home mother, to human resources director, to art director, to certified life and retreat coach, to WordPress, website content and niching. She’s focused much of her life’s work, passion and love to help women become all that God created them to be. She holds tele-retreats and in-person retreats for women in personal or business transition. Retreat Coach Linda Potter, M.A. of Nautilus Retreats & Coaching designs and leads creative and inspiring retreats for women, non-profit organizations, businesses and individuals tailored to their unique needs and providing the tools needed to reach their goals. Her offerings include retreats on Journaling, Gratitude, Self-Care and her popular Year Of Intentional Living which over 100 women have participated in over the past six years. Business-related retreats have included creating a mission statement, board retreats to define long-term goals, staff self-care, and conflict resolution. A former non-profit executive and development consultant, Linda now actively pursues a life of intention with her family and enjoys kayaking, running and hiking. Wise WomanSoul Coach Sharon McWilliams is a multi-certified master retreat coach, Reiki Master-Teacher, author, speaker, singer/songwriter, and educator! A co-creator with wise women, Sharon shares her discoveries with you in her multifaceted experiential retreats and coaching programs. Her retreat program ‘Walk of the Wise Woman’ takes you on the journey of yourself with your life stories into safe retreat surroundings using compassionate playfulness. Her creative sacred space holds a ‘moment out of time’ for you to rediscover your natural intuition and healing abilities, something all wise women have! Sharon has you remember, rebuild and refill your wise woman toolkit, the one you forgot you had. Come experience her Walk of the Wise Woman Retreat. Life coaching on horseback! If you love animals and want to get a jump start in life, come and allow the horses to enhance your life, heal and recharge your soul! Enjoy the beauty of the horses, their intuitiveness, strength and positive energy to fill you! Teresa’s Arabian horse, Zak, provides the magic to help clients discover the answers they crave. 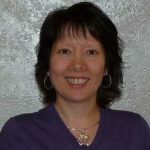 Teresa completed a comprehensive training program which included distance training in Colorado and local training to achieve her certification as a Master Certified Retreat Coach. She has also had training in life, spiritual and business coaching. In addition, Teresa trained with the highly acclaimed “Touched by a Horse” ™ program. 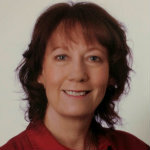 Teresa specializes in working with women and couples in a group and personal one-on-one retreats. Tina M. Games is the author of Journaling by the Moonlight: A Mother’s Path to Self-Discovery (an interactive book with an accompanying deck of 54 journaling prompt cards). As a certified creativity and life purpose coach, and a gifted intuitive and certified retreat leader, she is the “Moonlight Muse” for women who want to tap into the “full moon within” and claim their authentic self, both personally and professionally. Through her signature coaching programs and retreats, based on the phases of the moon, Tina gently guides women from darkness to light as they create an authentic vision filled with purpose, passion, and creative expression. She lives on Cape Cod (coastal Massachusetts) with her husband and their two children. 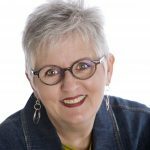 A natural encourager, Trisha Rockwell felt the calling years ago to bring women into a circle for spiritual growth and connection. As a Holistic Health Practitioner and Retreat Coach, she brings various elements of her holistic studies into the retreat circle. Trisha creates a nurturing safe-zone, gently guiding you through the process of awakening your true self. She facilitates the process of uncovering your authentic voice and anchoring with your woman-line. Women often enter the circle as strangers and leave as spirit sisters. Experience healing and renewed strength to energize your professional life and inspire your family and personal interactions. Join Trisha on her nature retreats, virtual retreats, custom group retreats and one-on-one personal retreats. 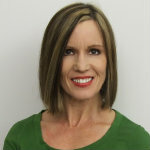 Ursula Lesic understands the competing priorities and 24/7 connectivity that the business environment demands with her 20-years of experience in human resources and training & development in Fortune 500 companies, technology startups, and small businesses. She is also intimately familiar with the toll that these demands exact on multi-tasking professionals who do it all and like to win. Ursula supports professionals pursuing high performance within the context of true well-being. By offering retreats located in beautiful settings in the eastern US and blending the distinctions of meditation, movement, and collage with coaching, Ursula inspires trusting the “Leader in You” and living the life you want.